Mayor Vincent Gray’s administration did its best to offer suitable services to missing 8-year-old Relisha Rudd and her family, according to a report (pdf) released this week by two deputy mayors of Washington, D.C. But lapses in communication among several key agencies, including schools and social services, may have led to mistakes in Relisha’s case, with officials failing to take action because they wrongly assumed that others had acted, the report says, according to the Washington Post. The child, who lived with her family in the homeless shelter at the former D.C. General hospital, was last seen March 1 with Khalil Tatum, a janitor at the shelter with whom Relisha’s mother allowed the girl to spend time, according to Washington City Paper. Relisha was not reported missing, however, until weeks later, and police became involved on March 19. Shortly after, investigators discovered the body of Tatum’s wife in a hotel room in Oxon Hill, Md. And on March 31, police found Tatum dead in an apparent suicide. 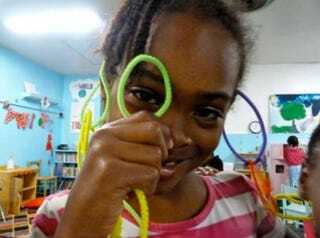 But Relisha remains missing as a new school year has begun. The District’s review includes 26 policy and procedural recommendations that city agencies are urged to enact, but city officials say that even if these measures had been in place, it is unlikely that they would have prevented Relisha’s disappearance. “Even if recommendations were in place, there’s nothing that could have prevented what happened because of things that were completely out of the control of government agencies,” Abigail Smith, the city’s deputy mayor for education, told Washington City Paper. Smith and B.B. Otero, who is responsible for health and human services, are the two deputy mayors who oversaw the review. Other findings from the review show that school administrators tried in March to obtain medical documentation from Relisha’s mother justifying her absences, Washington City Paper writes. The school followed its protocol, but Relisha’s mother lied, saying that the child was sick and being cared for by a “Dr. Tatum,” the paper writes. Initially the school delayed reporting Relisha’s extensive absences to the Child and Family Services Agency in order to give her mother more time to collect the necessary documentation to justify Relisha’s absences. Once a school social worker discovered that Tatum was not a doctor, the absences were immediately reported. Child-welfare advocates and D.C. Council member Jim Graham, head of the government committee tasked with overseeing the shelter at D.C. General, sharply criticized the report, according to the Post. Read more at Washington City Paper and the Washington Post.